I'm a makeup junkie, but I try very hard NOT to be a collector of makeup. I want to use all of the things I have. What's nice about the Glamour Ghoul Beauty Bags is that they include makeup and skin products from cruelty free and indie companies, so I can get exposed to new brands without feeling like I made a huge commitment to use them. At only $10, it won't break the bank either! Through Glamour Ghoul I can find brands to spend my full makeup budget on that I will actually use. 1. 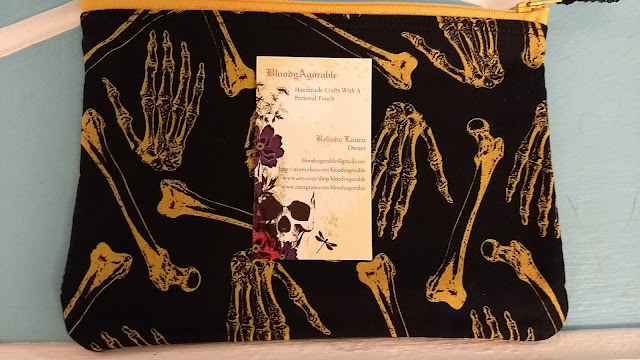 A Skeleton Hand and Bone pouch from Bloody Agorable. What's nice is it's lined in fuzzy fabric, so I can put my glasses in it if I want to, and there's a little lace pull tab on the zipper. It's the attention to detail that I love, and I can't get over this awesome fabric! You can find lots more creepy, nerdy, and novelty bags on their etsy page. 2. Apocalyptic Beauty eye shadow in Season of the Witch. Now I'm going to be honest, I'm terrible at loose shadow. It ends up everywhere, but I'm willing to try this color. 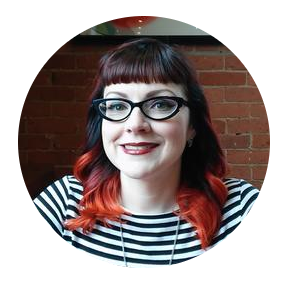 I'm a fan of matte shadows and not averse to purple. 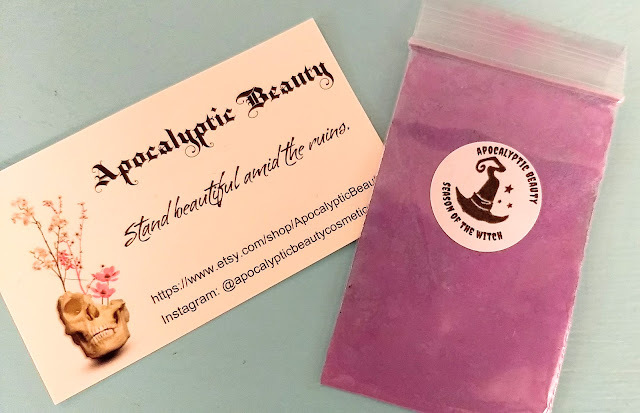 The Apocalyptic Beauty etsy page has a lot more products, not just shadows to check out. 3. & 4. 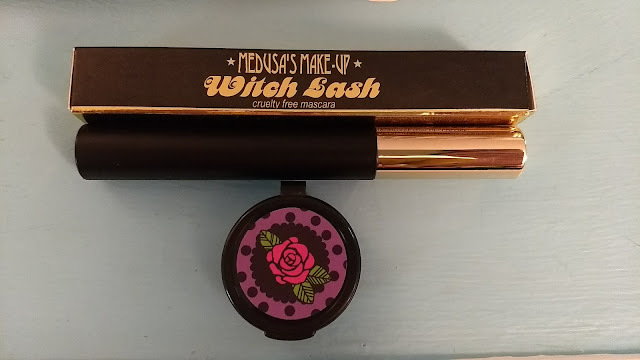 Medusa's Makeup Witch Lash mascara in "Black Noir" and Lip and Cheek Stain. I'm very excited to try these two out because I've always heard such great things about this company. The mascara even has the kind of wand like, it's the rubber kind of brush! They have a monthly subscription box as well for $15.95. 5. Ginger VooDoo Healing Salve in "Back From the Grave". Goodness knows this time of year in Buffalo, NY my skin is cracked to hell, so I'm excited to try this out. It smells great too. 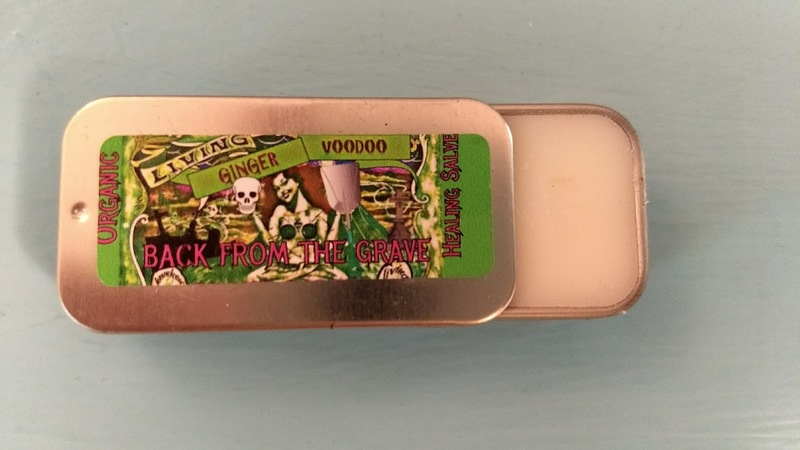 There's also a larger version available on the Ginger VooDoo website along with body butters, scrubs and fun shaped soap. Overall I'd say this was a great bag to subscribe to. 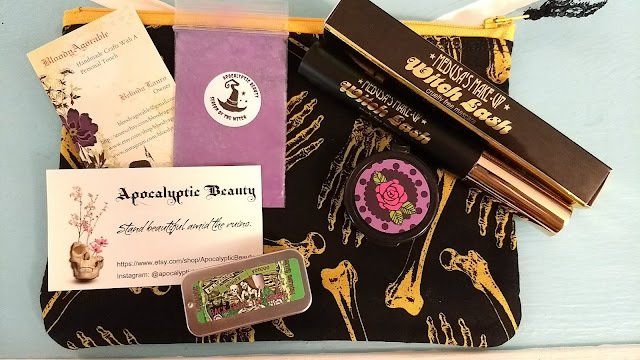 Now you can even get an on going subscription to the Glamour Ghoul Beauty Bag here!